The previous trivia question was: Who was the last member of the House to win re-election while under indictment? 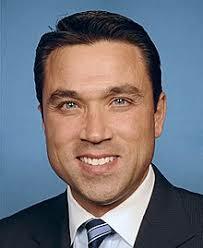 The answer: Michael Grimm. A two-term Republican from Staten Island, he was under federal indictment on fraud, tax evasion and perjury charges when voters in New York’s 11th Congressional District re-elected him in 2014. The following month, he pleaded guilty to one count of tax fraud and resigned his seat the following week. And the randomly selected winner is Jerry Skurnik of Manhattan. Jerry wins the coveted Political Junkie button.